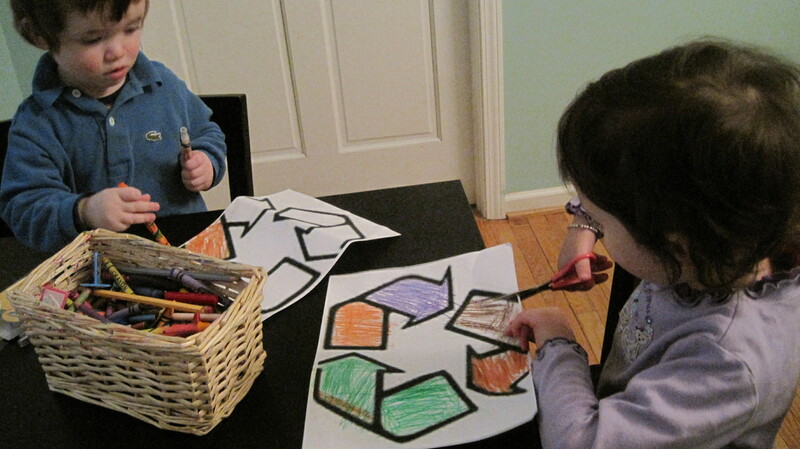 So far the kiddos have been pretty receptive towards this whole recycling project. 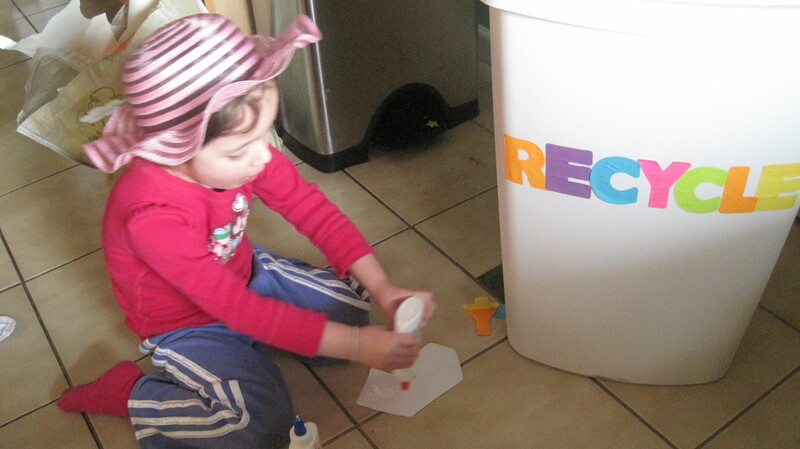 Stella loves doing art projects, so she was jazzed about making a recycling bin. 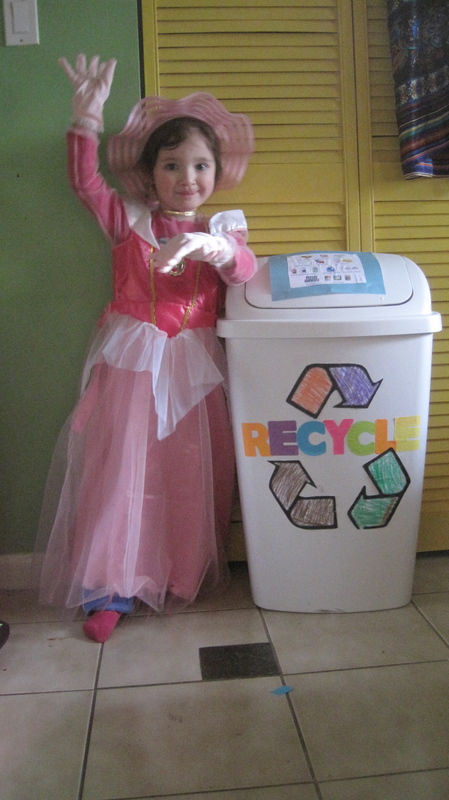 First, I talked to her about recycling and why we do it. Here’s Stella totally on her own, including princess transformation. Yup, she’s at that age where “why” is her go-to question/response about 99% of the time. I didn’t want to get too technical and lose the “magic” of this whole process. 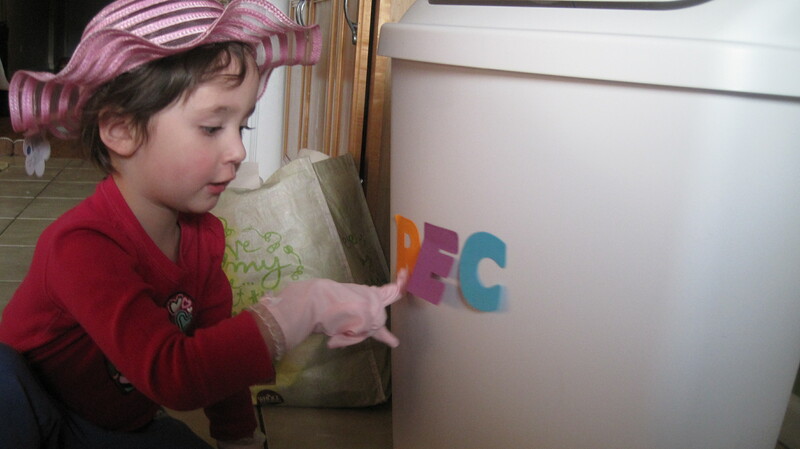 So we went to Target and bought a bin for about 10 bucks and glued some letters on it. 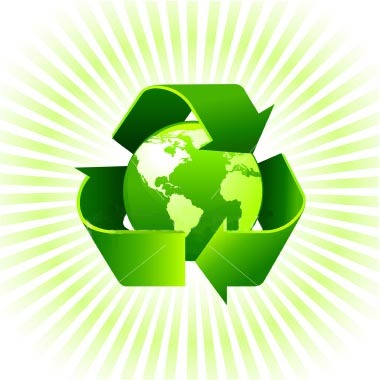 I got some help from parents.com in regards to what to recycle along with pics of them. As she decorated, she decided to slowly transform herself into a princess during the process. Okay, it is the 22nd and I am now posting up my One Small Change for Feb. Sorry! 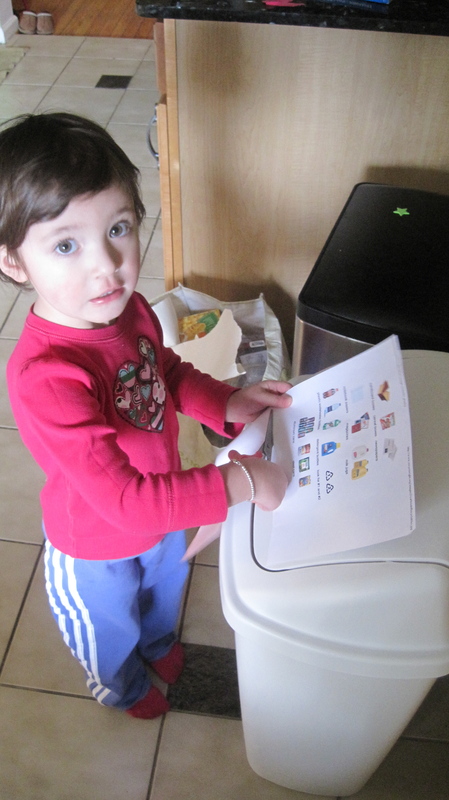 My small change this month is to teach my tots how to recycle and to kind of understand the meaning behind recycling. Ever since my CARE days in 5th grade, I’ve been passionate about saving the planet. I was the one following my family members in and out of rooms reminding them to turn off the lights, collecting the neighborhoods recycling and taking them to centers (with the help of the p’s, of course), and being cognizant of my water usage. Sure I went through stages when I didn’t care as much like when I was throwing away empty beer cans in college (the thought makes me cringe). 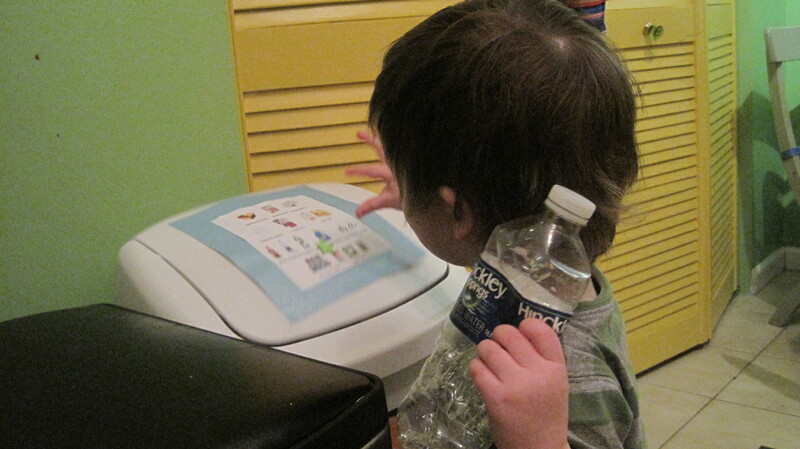 But ever since I had my oldest, I’ve been pretty adamant about recycling. 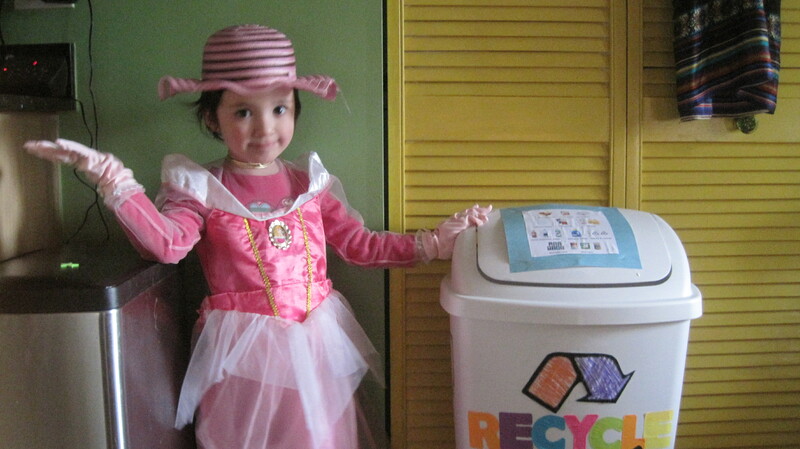 Chicago doesn’t have the best recycling system, but it’s moving forward. 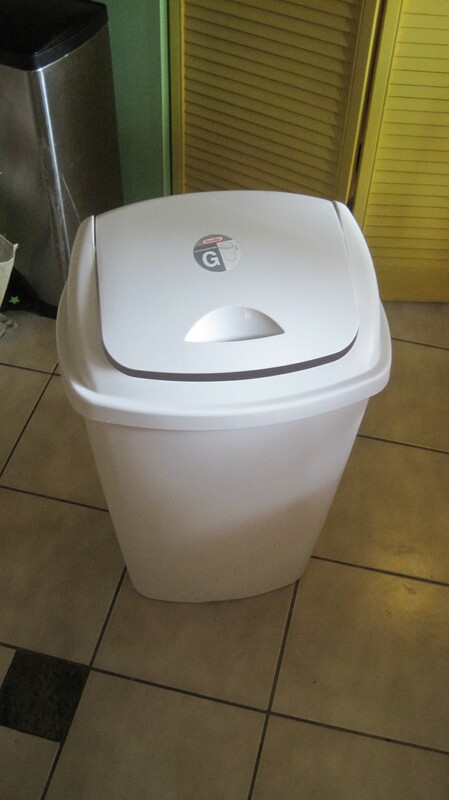 Unfortunately, we don’t have those handy bins behind our home (I live in a condo) so my hubby, who’s known as the “recycle bandit”, takes it to a center at a park nearby. Is there extra work on our end? Definitely. But I will do my part for my children’s future planet. So how did I get this idea? Well, nothing pleased me more when Neil was about to throw away my three year old’s empty yogurt cup and she yelled with her hands on her hips, “Dad, this is not for trash, this is for recycle. Okaay, Dad?” I was a proud mama that day. So, I’m going to take the next week or so to reinforce and talk to Stella and Harry (mostly Stella) about the importance of recycling and what to recycle. Let’s see how this goes! I’ll keep ya posted on the process. 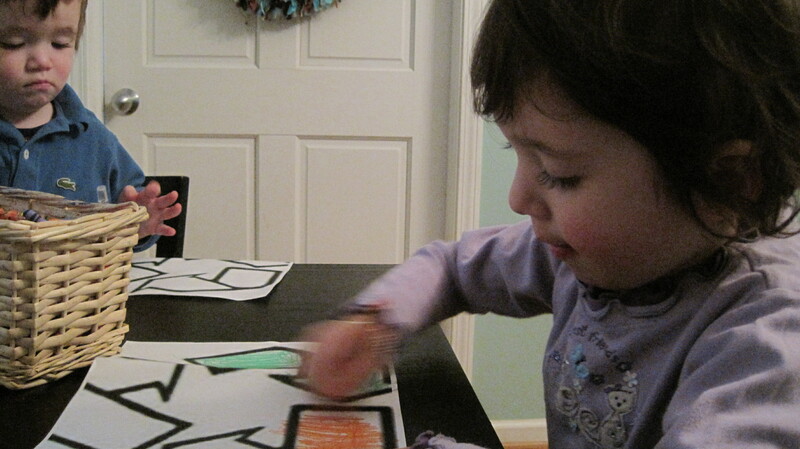 Stella has some mad coloring skills! 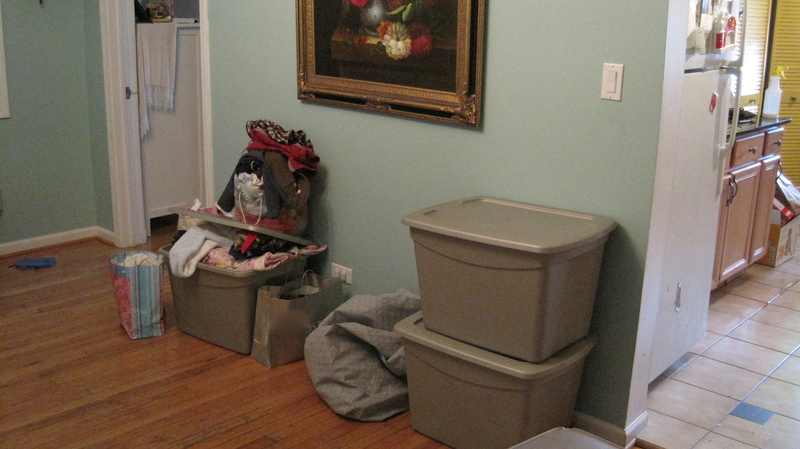 I am hoping to finish this decluttering project tonight. I was able to clear out some more items, including furniture and bigger pieces. So after Neil (my husband) read the last decluttering post, he had a bit of a beef with me because I mentioned that I was going to stop buying things. Obviously that’s not true (I was just in the thick of getting rid of stuff and I was letting my passion speak for me). What I meant to say was i’m just going to stop buying the crap that only fills up space in my home. Ahhh…what a liberating feeling!